Sharing my favorites of this week! Striped Crossbody Bag With Tassel – This accent bag is adorable to wear with night-time outfits. I wore it on Saturday night, and I was able to fit in my cell phone (Galaxy Note 8), ID, credit cards, small mirror, car keys, and lipstick. It has a shimmering long golden chain too! 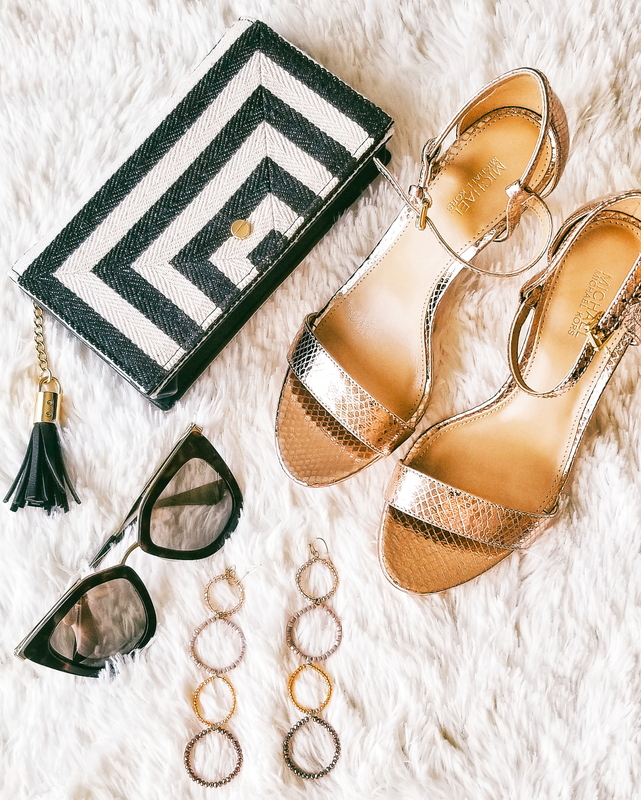 Michael Kors Gold Mid-Heel Sandals – I recently purchased these because it’s a style I can wear daily to work, plus the heel is not too high (for comfort) & love they are shiny! Great price too. Prada Sunglasses – These sleek frames I feel look fantastic on everyone! I had seen them before on others, they complement outfits with their polished look. Also available in black.